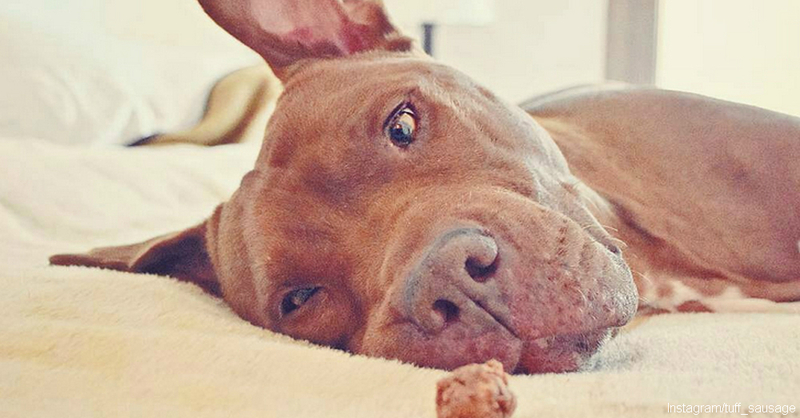 Diego is an ordinary pit bull with an extraordinary story. He was a bait puppy rescued from a dog fighting ring in Portugal. Since then, he’s traveled all over the world, including Germany, South Korea and the United States. Diego, known as Tuff Sausage on Instagram, has a new leash on life as he hams it up for the cameras with his many poses. Diego has a huge smile whether he shows teeth or not. 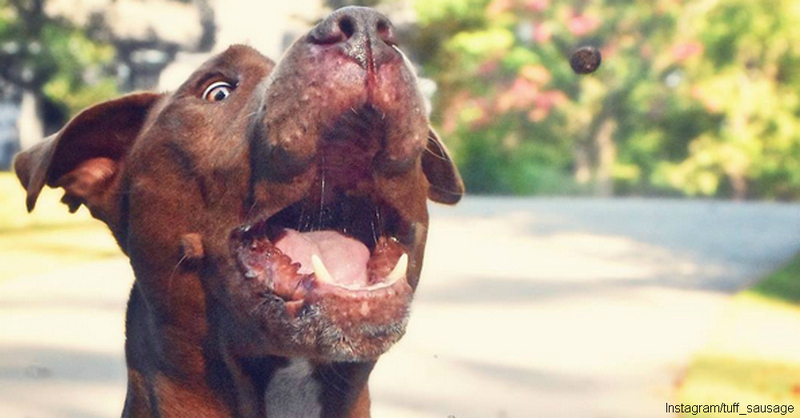 You can tell he has a lot of fun clowning around with his owners, especially with a goofy grin on his face. Sometimes, Diego has serious looks, especially when he gets hungry. 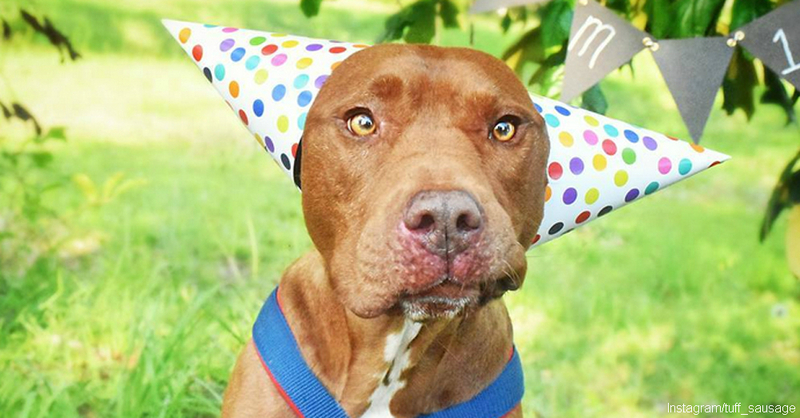 Other times, Diego is the life of the party when he dons party hats or wigs to make his human guests chuckle. Diego loves exploring the outdoors as much as any other dog. 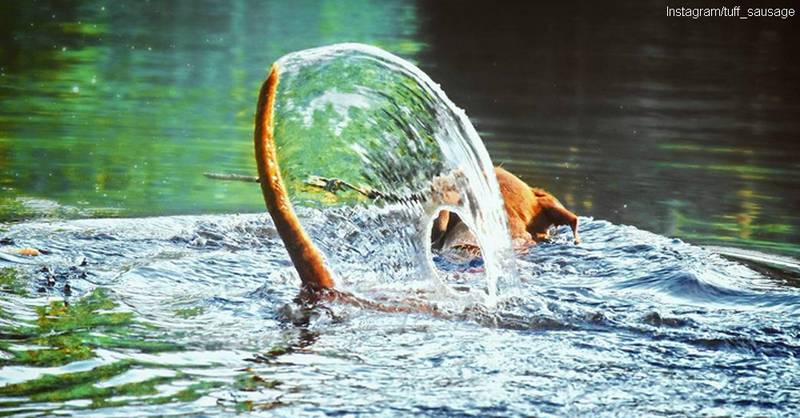 Find him in a lake, near some mountains or rolling around in the grass.